“A brilliant multiplayer FPS that you should just go and play right now. 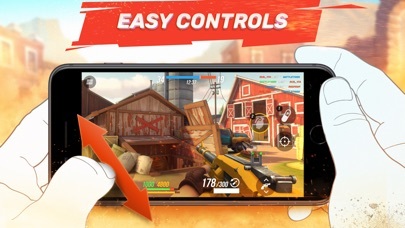 9/10” — PocketGamer “A super slick super shooty super shooter. 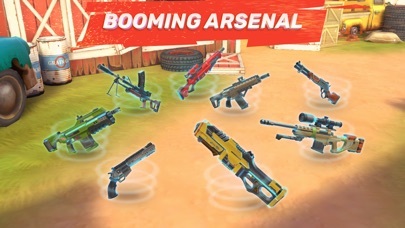 This is one of the best multiplayer FPS games to have hit the App Store in recent memory.“ — AppSpy “Guns of Boom is some solid, streamlined shooting that feels better than quite a few other mobile shooters.” — 148Apps • Easy and intuitive controls: get a hang of the game from the get-go and start climbing up the ranks! 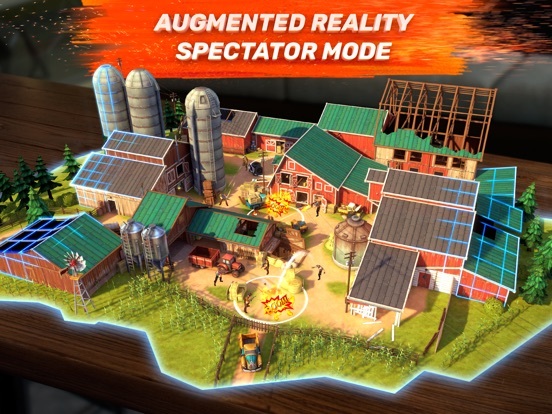 • Vivid graphics and support for older devices: stunning visuals will keep you glued to the screen, while the hardware requirements remain very moderate. 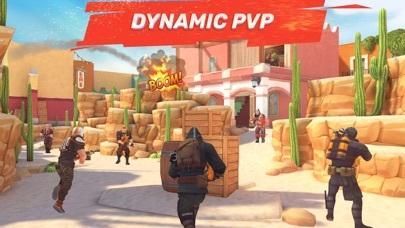 • Engaging PvP battles: enjoy team-based fun across numerous maps and game modes. The adrenaline-filled action never stops in GoB! 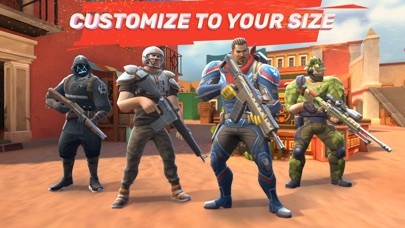 • Character customization: create a unique hero by using a combination of various perks and equipment skills, and find the perfect look with hundreds of cosmetic items. Creating a flexible build for your play style is as easy as ever. • Regular updates and events: with constant content additions, new features, and colorful themed events, you’ll never be bored. This game just keeps on giving! 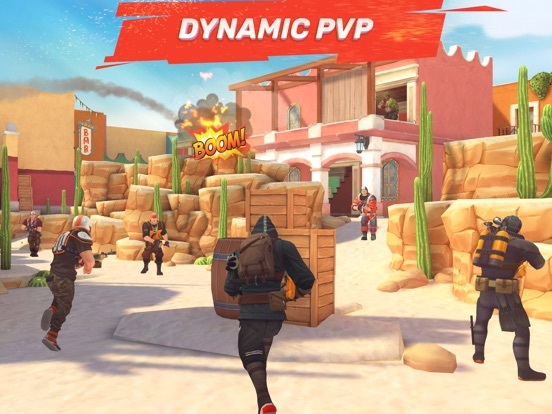 • Pro Play Mode: eSports events with players from globally acclaimed teams. 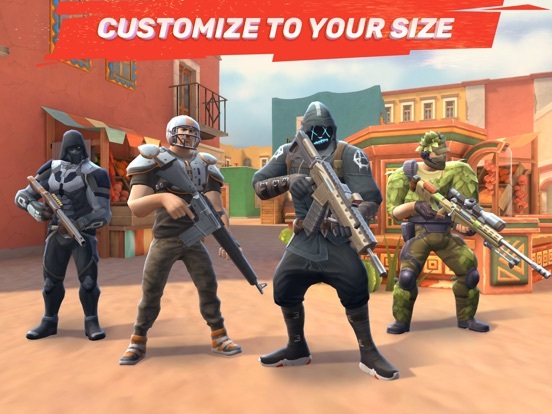 Can a mobile FPS be truly competitive? You bet! 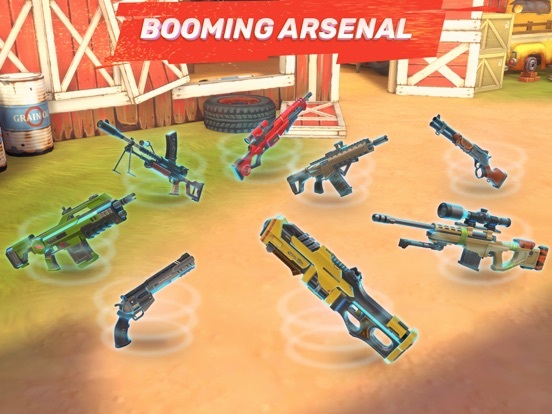 Guns of Boom is a competitive multiplayer FPS with awesome 3D graphics and gripping gameplay. It’s so simple that your cat could learn the controls, but the skill-cap is high enough to spark the interest of competitive eSports players who’re used to extremely challenging and clutch tournament-style battles. 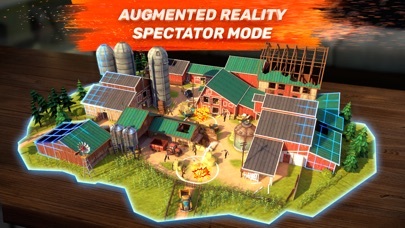 Engage in online PvP battles on a variety of maps, utilizing different cunning tactics. 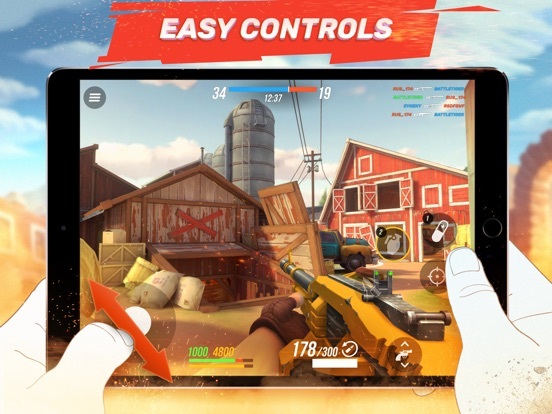 Get the ultimate FPS experience with fast-paced matches that take less than 5 minutes on average. The game is on! ESPORTS We host massive online and offline tournaments with huge cash prizes, wide media coverage, and millions of viewers. The first competitive season in 2018 featured teams from North America & Europe, and a 0,000 prize pool, while the second season in 2019 has 0,000 up for grabs and teams from four regions, including Latin America, South-East Asia, India, and Australia. Join the fight, for a chance to compete on the world’s largest esports arenas in front of huge live audiences. Fame and wealth await! Airport City HD - Start your airplanes empire! Manage your aircraft and fly!